Properties in Lisbon Entrecampos Station average 4.4 out of 5 stars. The mountains and the sea together! Property 10: The mountains and the sea together! Casal de Alcube - a fantastic farmhouse with a breathtaking view! Property 16: Casal de Alcube - a fantastic farmhouse with a breathtaking view! Farm with 6000 meters square, with green areas, swimming pool in quiet. Property 27: Farm with 6000 meters square, with green areas, swimming pool in quiet. We were a family of 8 ( one a baby) and our stay was spectacular. The accommodations are top tier and Ana helped immeasurably and she is such fun! 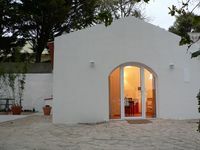 You could not be better situated for staying in Sintra, going to the coast, Lisbon etc. Thank you Ana for everything, I hope we come back soon.